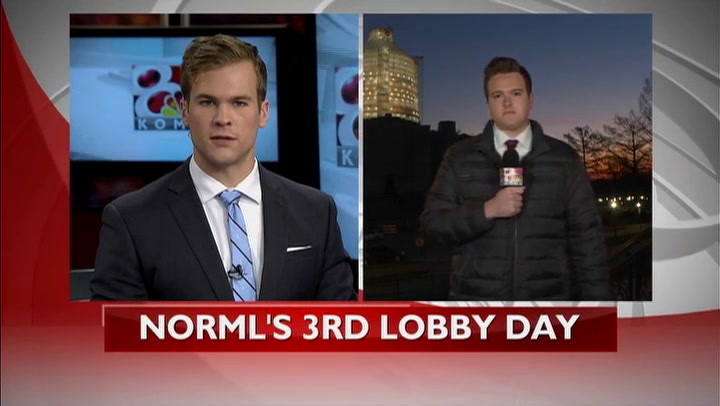 JEFFERSON CITY – NORML, the National Organization of Reform of Marijuana Laws, will hold its third lobby day of the 2019 legislative session Wednesday. NORML has been around for more than 50 years and is the nation’s leading organization fighting to appeal marijuana probation for adults. At the lobby, NORML plans to focus on one of the more than 17 bills filed this session related to medical marijuana. Senate bill 227 would allow state employers to drug test their employees and take disciplinary action. Senator David Sater of Cassvillle, MO sponsors the bill and says its more than about legalization. “This is about public safety. These bills are enabling businesses to set parameters,” Sater said. Dan Viets is the Missouri state coordinator for NORML and said he disagrees with Sen. Sater. Sen. Sater said he has a personal connection to the issue: he lives near of a large school bus route. “I want to make sure that, that person driving those children to school is not under the influence of anything,” Sater said. Viets said he hopes for a good turnout at the lobby and believes this is something a good number people agree with. The meeting will be at the Missouri State Capitol from 11:00-3:00.